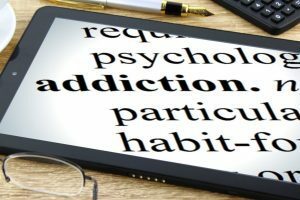 Major advances in neuroscience, brain imaging and behavioral research show that addiction can be thought of as a complex brain disease affecting behavior. However, it is often viewed as a moral failing due to lack of willpower, and therefore, not treated as a medical illness. Those living with addiction, and their families, often feel isolated in their struggle to understand the disease and find effective treatment. This is due in part to the shame and stigma attached to addiction and to the separation of most treatment from mainstream health care practice. For more information on activities in Hamilton County designed to address the disease of addiction, visit The Hamilton County Heroin Coalition. The legal limit for drinking is the alcohol level above which an individual is subject to legal penalties (e.g., arrest or loss of a driver’s license). Legal limits are measured using either a blood alcohol test or a breathalyzer. Legal limits are typically defined by state law, and may vary based on individual characteristics, such as age and occupation. All states in the United States have adopted 0.08% (80 mg/dL) as the legal limit for operating a motor vehicle for drivers aged 21 years or older. However, drivers younger than 21 are not allowed to operate a motor vehicle with any level of alcohol in their system. Anyone younger than age 21. Individuals who are driving, planning to drive, or are participating in other activities requiring skill, coordination, and alertness. Individuals taking certain prescription or over-the-counter medications that can interact with alcohol. Persons recovering from alcoholism or are unable to control the amount they drink. The Dietary Guidelines also recommend that if alcohol is consumed, it should be in moderation—up to one drink per day for women and up to two drinks per day for men—and only by adults of legal drinking age. However, the Guidelines do not recommend that individuals who do not drink alcohol start drinking for any reason. By following the Dietary Guidelines, you can reduce the risk of harm to yourself or others. Excessive alcohol use includes binge drinking, heavy drinking, any alcohol use by people under the 21 minimum legal drinking age, and any alcohol use by pregnant women. According to the National Institute on Alcohol Abuse and Alcoholism binge drinking is defined as a pattern of alcohol consumption that brings the blood alcohol concentration (BAC) level to 0.08% or more. This pattern of drinking usually corresponds to 5 or more drinks on a single occasion for men or 4 or more drinks on a single occasion for women, generally within about 2 hours. For men, heavy drinking is typically defined as consuming 15 drinks or more per week. For women, heavy drinking is typically defined as consuming 8 drinks or more per week. “Getting drunk” or intoxicated is the result of consuming excessive amounts of alcohol. Binge drinking typically results in acute intoxication. I’m young. Is drinking bad for my health? Yes. Studies have shown that alcohol use by youth and young adults increases the risk of both fatal and nonfatal injuries. Research has also shown that youth who use alcohol before age 15 are six times more likely to become alcohol dependent than adults who begin drinking at age 21. Other consequences of youth alcohol use include increased risky sexual behaviors, poor school performance, and increased risk of suicide and homicide. No. There is no safe level of alcohol use during pregnancy. Women who are pregnant or plan on becoming pregnant should refrain from drinking alcohol. Several conditions, including Fetal Alcohol Spectrum Disorders, have been linked to alcohol use during pregnancy. Women of child bearing age should also avoid binge drinking to reduce the risk of unintended pregnancy and potential exposure of a developing fetus to alcohol. Methamphetamine (meth), a powerfully addictive stimulant, can be easily produced in illicit, makeshift laboratories and generally is considered the fastest-growing illicit drug in the United States. Aside from the inherent physical and physiological dangers of the drug itself, persons in and around meth laboratories can be acutely exposed to hazardous substances used in meth production. Exposure to these substances can occur from volatile air emissions, spills, fires, and explosions. Common types are oxycodone (OxyContin), hydrocodone (Vicodin), morphine, and methadone. Fentanyl is a synthetic opioid pain reliever. It is many times more powerful than other opioids and is approved for treating severe pain, typically advanced cancer pain.1 Illegally made and distributed fentanyl has been on the rise in several states. It is important to reduce exposure to opioids and prevent abuse, while also providing treatment and preventing overdose death. Adaptation to a drug that produces symptoms of withdrawal when the drug is stopped. Note: “Made a quit attempt” refers to smokers who reported that they stopped smoking for more than 1 day in the past 12 months because they were trying to quit smoking. See CDC’s Quitting Smoking fact sheet for more information.